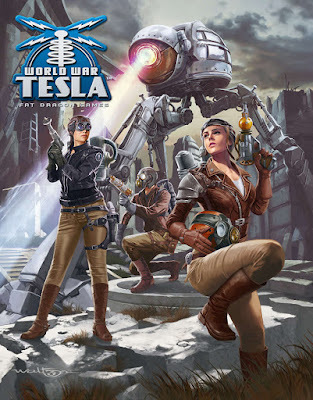 World War Tesla™ is a 15mm scale alternate-history wargame by James M. Ward (author of TSR's Gamma World, Deities & Demigods, and Metamorphosis Alpha) and Thomas A. Tullis, where Nikola Tesla’s more radical ideas such as death rays and force fields have come to fruition, changing the face of a world at war. 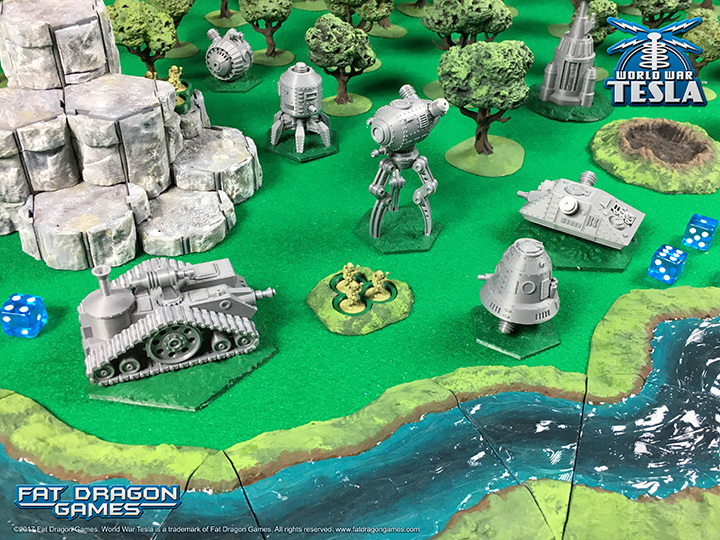 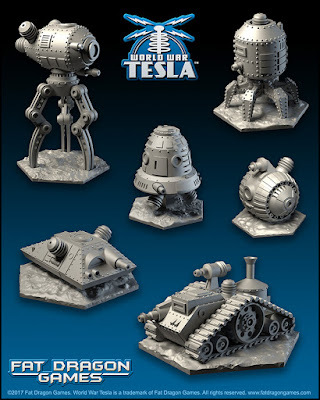 Giant walking tanks, soldiers with rocket-packs, and flying machines armed with death rays rule the battlefield! 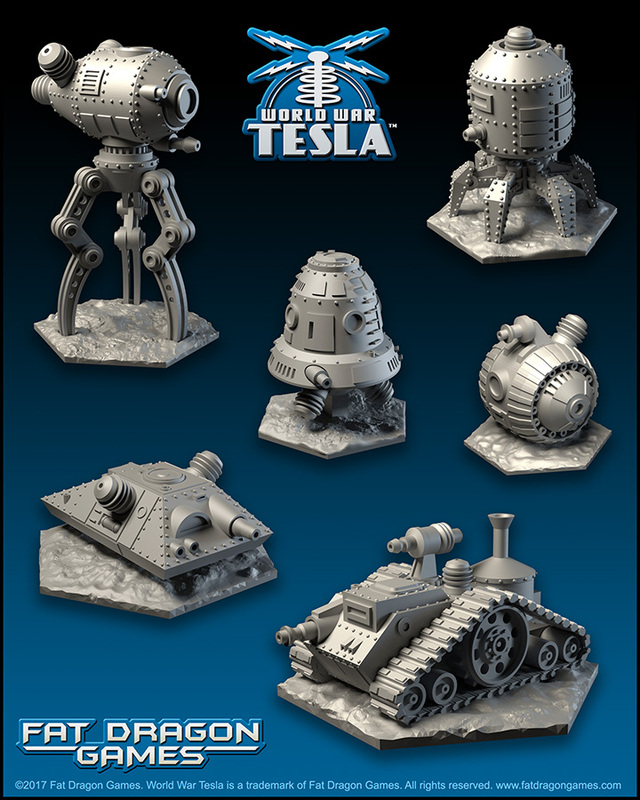 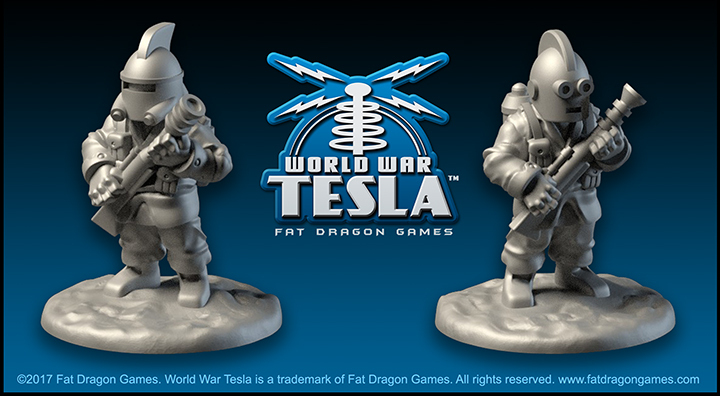 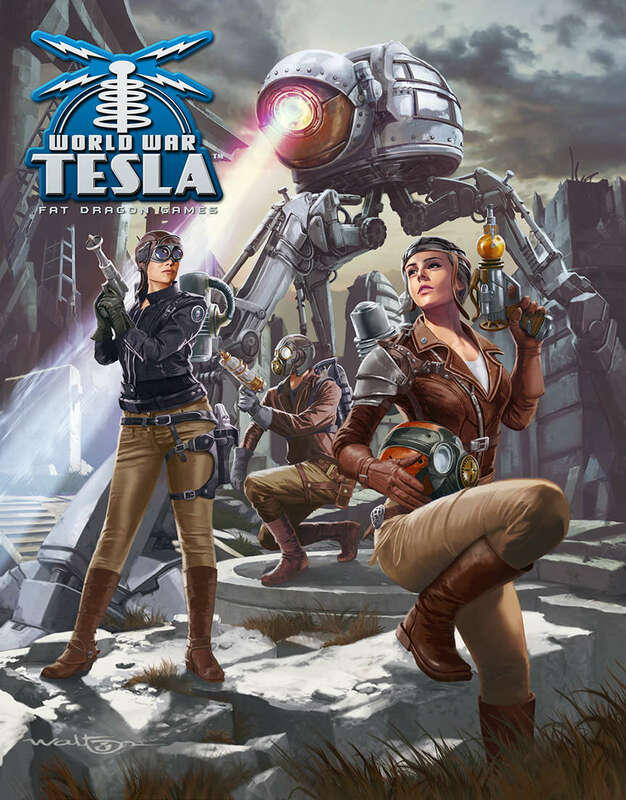 World War Tesla™ is the forefront of print-at-home wargaming. 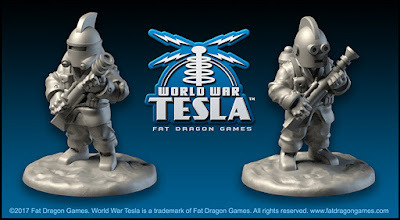 Say goodbye to the days of spending massive amounts of money to even have a small army to play a wargame, with World War Tesla™ even the largest vehicle can be printed for less than a dollar. 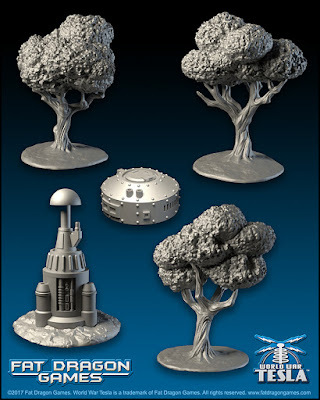 All 3D printer .stl files for vehicles, troops, accessories, and even some terrain are provided, so there is no limit on how large your armies grow.